“The Day of Atonement approached, when the observant pray all day and fast for twenty-six hours without eating or drinking anything. Not even water is allowed to be consumed on that day. Again, it was Vogel who excused the religious men from work that day and arranged for them to remain in a hut on the building site. These people were prepared to work without food or drink. With their last strength, on empty stomachs, they were willing to undertake their workload. Vogel told Machinemeister Kuka about these men and the way they conducted themselves. Silently, Kuka also acquiesced to this arrangement, so the very religious men were allowed to remain in the hut during this fast day. They stood together and prayed, full of fear that they might be discovered and punished. Some had the tattered remnants of a prayer book from which one of them quietly lamented as he read out the prayers. 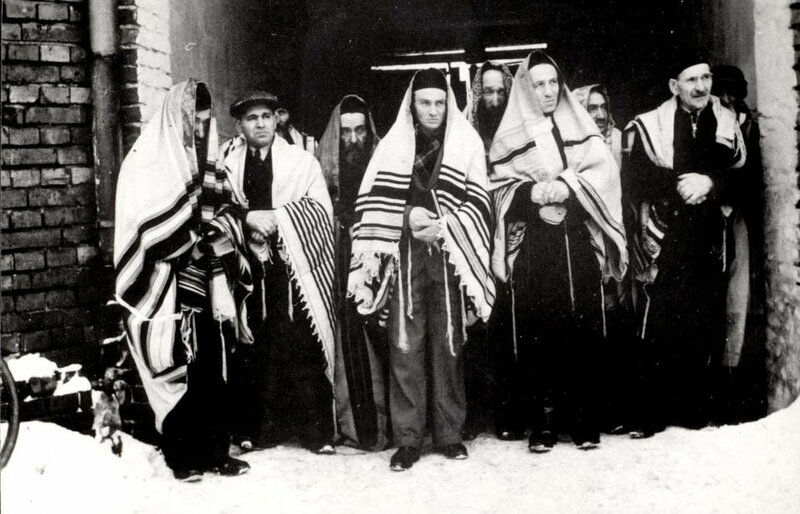 Jews in Zawiercie managed to pray in the snow in the ghetto. It took super human strength and devotion to pray and fast in the cruel conditions of the camps.